Beverage menu for dining car. 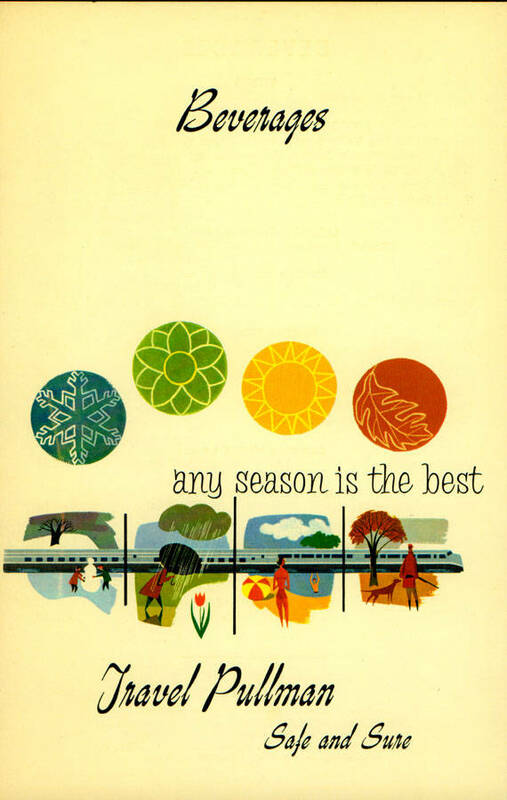 "any season is the best" "Travel Pullman Safe and Sure". 4 color. Undated. Description Beverage menu for dining car. 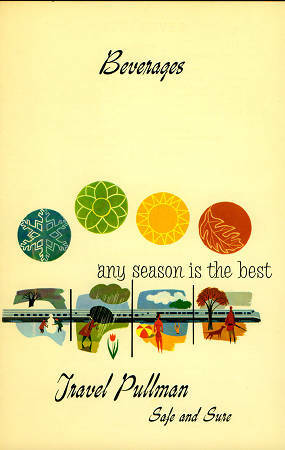 "any season is the best" "Travel Pullman Safe and Sure". 4 color. Undated.